A wedding celebration is a family occasion so there are more than likely going to be a few children sharing your special day. You may have lots of nieces or nephews who are all lining up to be flower girls or pageboys, or you may just have a lot of guests with young children. It is therefore important that you choose a child friendly wedding venue to ensure they can enjoy themselves and their parents will be able to relax. Here are the main things to consider when looking for a child friendly wedding venue. Is the wedding venue safe for children? 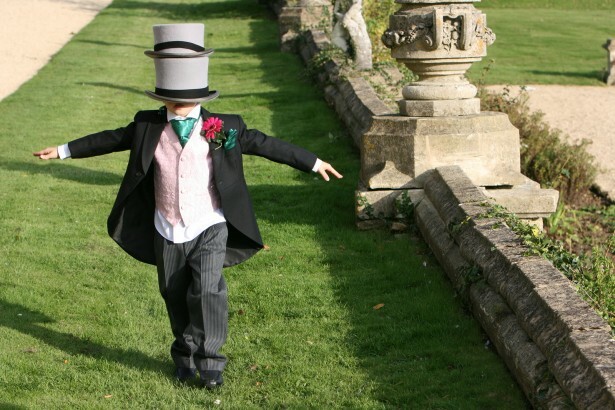 If your venue grounds and reception rooms are safe so that children can run around freely then parents will enjoy your wedding and be able to relax. Watch out for hazards such as busy roads, staircases or lakes. If you see a venue that you love but it has a few dangers, ask if there are temporary measures that can be implemented to make the area safer. Does the wedding venue cater for children? Check what facilities are suitable for children. Do they provide high chairs and a children’s menu? Many venues will provide child friendly portions at a reduced rate. Some venues may even offer a babysitting service. Is there a room for activities? Does the venue have a separate room or area where children can play safely? You could set up activities for them such as colouring, board games or DVDs to keep them entertained. Your venue may offer a crèche service or you could hire one. You could also hire a children’s entertainer such as a magician or a clown to occupy them. This also gives parents a bit of a break throughout the day. These are a few simple and easy tips to help you find child friendly wedding venues to help your wedding guests feel a bit more relaxed on your big day. If you are planning a wedding check out our range of beautiful wedding venues.